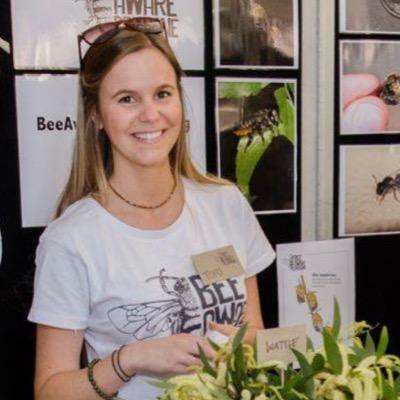 With my PhD project, I'm currently investigating the role of wild pollinators to native plant communities in highly fragmented agricultural landscapes of SW Western Australia. Specifically, I'm interested in assessing the abundance and composition of pollinators, their resource collection patterns and their network structures in remnant wildflower communities and adjacent co-flowering canola fields. The results from this study will help advance our understanding of the network of pollination interactions occurring across large-scale agricultural landscapes and the impacts of co-flowering crops on the long-term survival of native plant species persisting only in remnants embedded in these landscapes.